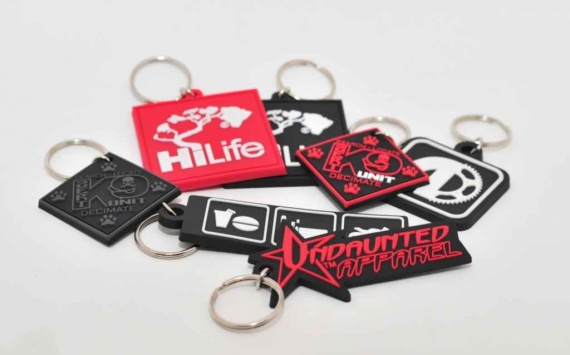 Anyone who has been searching online for custom keychains finds himself bored to death with the “most popular” options around. 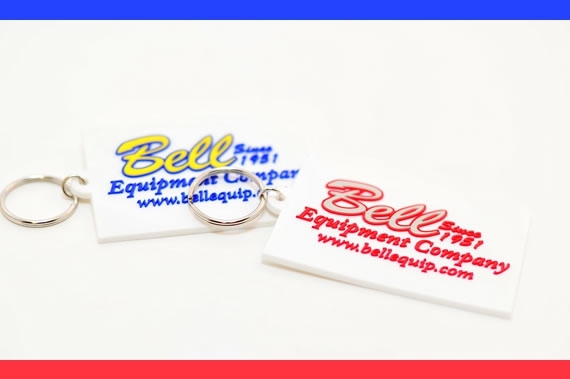 It is not uncommon to see the “Your Image Here” inside of a commonly used shape such as a circle, square or rectangular shaped keychain, made of either metal or plastic, with its blank spaced, ready to be personalized with your usually one-color design. And that is supposed to excite us about this project!? Here a design where we didn’t have to re-invent the wheel: Printing is the only process that can handle a gradient design and deliver it with perfection. 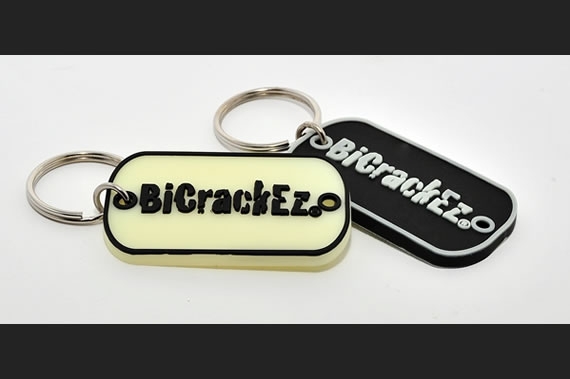 We just enhanced it with a cool “follow the design” shape, covered it with an epoxy coating to protect it from the elements and the magical printed on metal keychain was delivered. 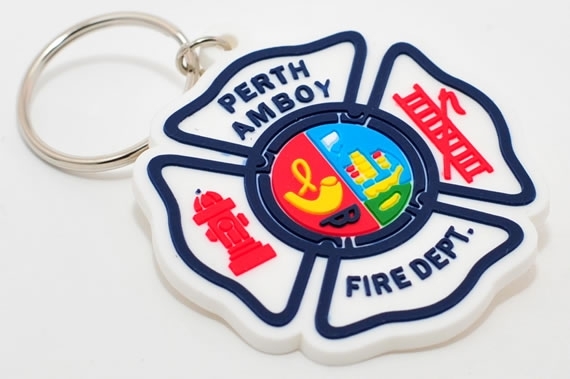 Any time a Public Service Department reaches to us to make lapel pins, patches or in this case keychains we are truly humbled by the honor of creating something that they will wear with pride. This Fire Department cannot have enough with just wearing their uniform patches, they want to take it wherever they go. PVC was an easy option as it will not scratch and it will resist almost anything these dedicated group will put them through. 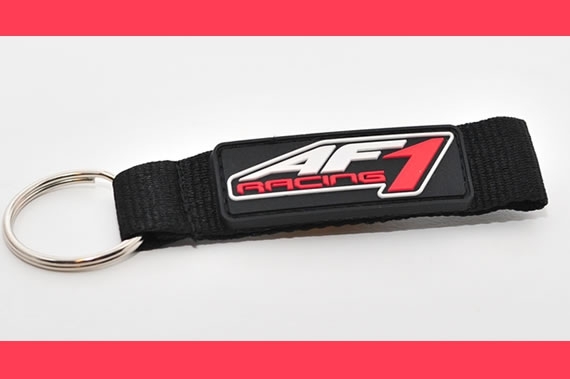 Our client, a leader in the market of performance vehicles, needed keychains that would be durable and could resist variations in temperature, while matching their modern and active look. Soft PVC was a natural choice. Their logo looks amazing! 7. Fizzing One bottle at a time with a Keychain Bottle Opener! 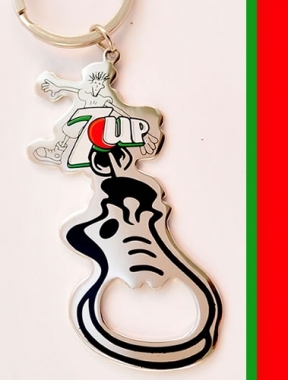 The modern designs we see from 7up are not at random. 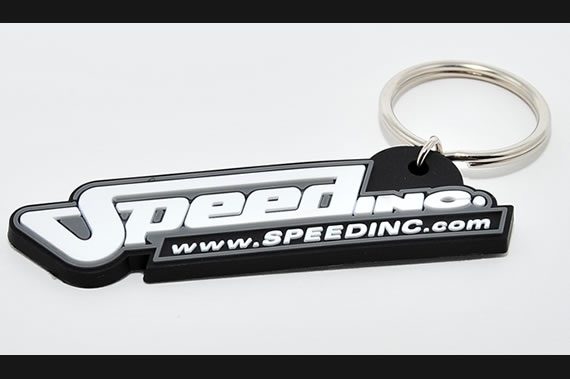 They consistently deliver a fun and active image that translated very well to this metal bottle opener. We were all fizzing about it! In the world of Art and Design, anything is possible (even more if you are molding it in Soft Rubber). Shaped to de design, multi-layered, We love this little guy! A fairly common shape holds a familiar design, this time for international use. 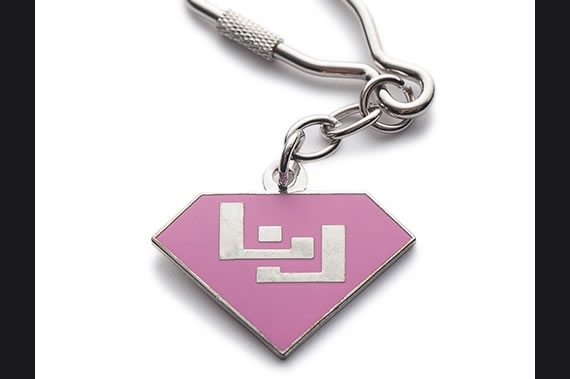 A resistant product, suited for daily use, soft enamel coloring was the right choice for this keychain. 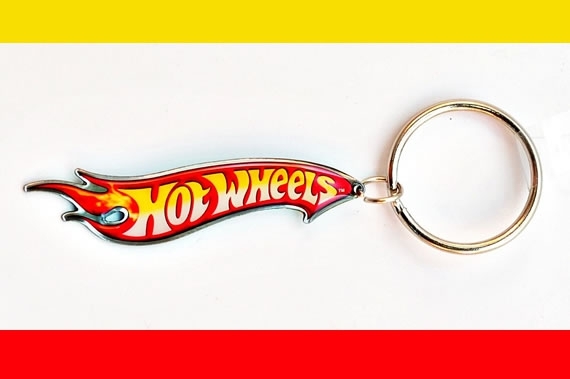 Fans of this high peformance motorcycle store can now hold their keys without scratching their bikes with this nylon keychain with a PVC patch attachment. Soft an versatile, a sure hit. For anyone looking to add that timeless look, and distinguish their product from a “cheap” metal keychain, the antiquing process is simply a must. 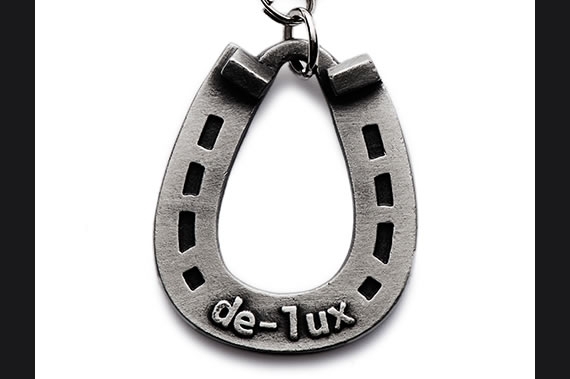 The roughed, worn and classy look transforms the design into a piece of jewelry almost instantly. 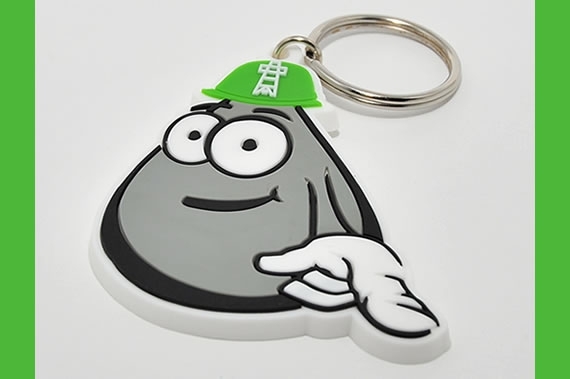 A “Thank You for Your Order” keychain that will keep on giving back for years to come, can be of any shape or form (rectangular in this case), and at the same time can be enhanced by multiple layers and colors to make it unique and create impact. Fun products are not reserved to new and “hip” companies! 25 years. A lifetime achievement for anyone. 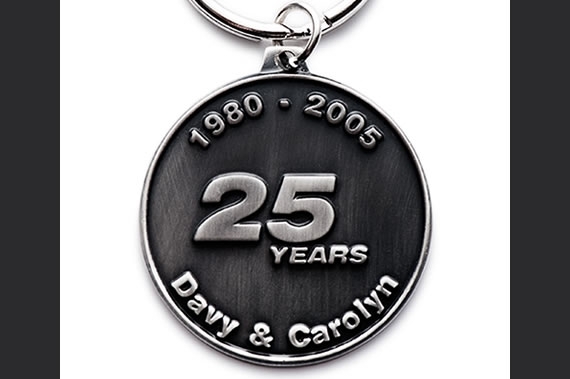 What a great way to honor it than by creating a piece of jewelry that will withstand anything you will put it through while still delivering its most basic function which is to be reminded of the love and effort that kept this couple together for 25 years (and hopefully more). 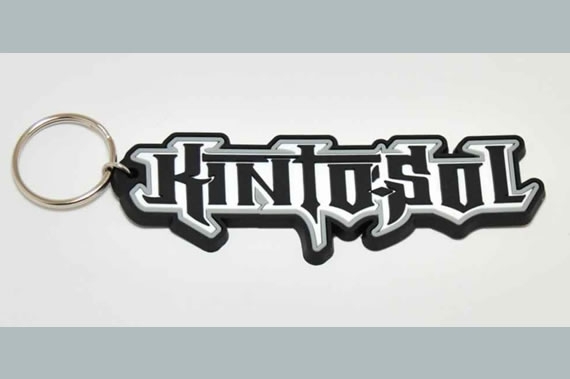 Made for “Kinto Sol” a talented music band that tells the 3 brothers adventures in pursue of the “American Dream”. A Soft Rubber PVC keychain was perfect for an urban design. We wish them success! Design and execution go hand in hand in achieving the right look for your consumers and fans. They will determine the success or failure of your project. 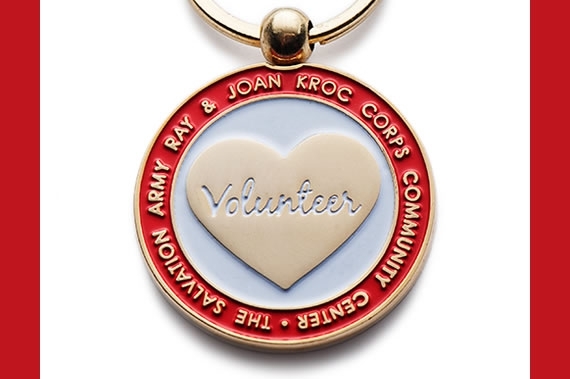 It was a no-brainer to choose a silver-plated keychain for this custom-shaped design. Pink and silver go great together. 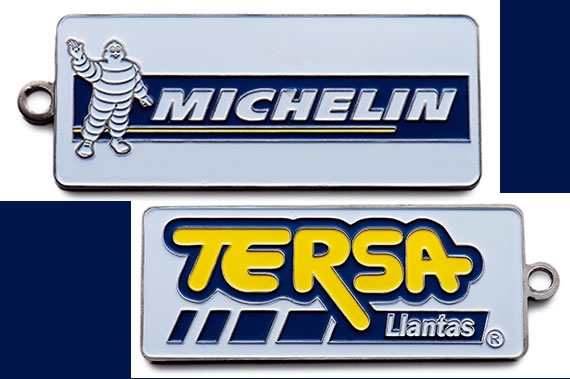 Attention to detail is invaluable (look at the especial key-ring). Success! 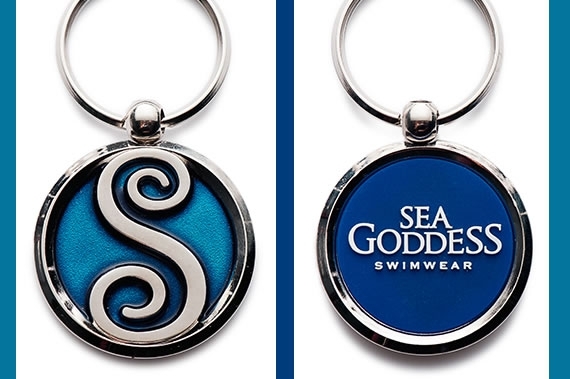 Don’t settle with a plain, flat, rectangular printed keychain. Soft PVC or Metal, we can make it possible for you!